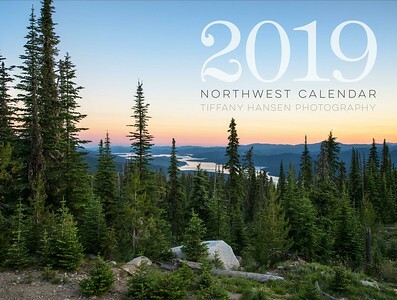 2019 Northwest Calendars are now available. Order yours before they're gone! This year's calendar features images of our beautiful Inland Northwest. From the rolling green hills of the Palouse, to the alpine forests of North Idaho, this year's calendar displays a wide variety of the gorgeous landscapes and natural wonders we cherish in this part of the country. Order online or contact me directly for local purchase. 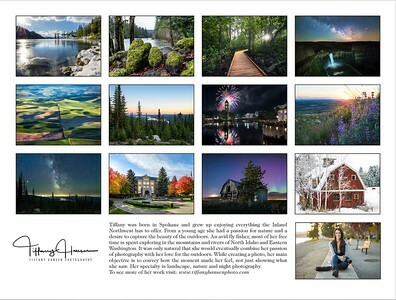 Calendars are printed locally in Spokane on quality, heavy weight paper and finished with a spiral binding. Pages measure 9x12.